The organization(s) responsible for providing the funding is listed here. Users with Submission privileges, as well as Collection Owners, Program Officers, and those with Administrator privileges, may upload and attach supporting documentation. By default, supporting documentation is shared to the general public, however, the option is also available to limit this information to qualified researchers only. Identifiable details are displayed about the Project of which the Collection was derived from. You may click in the Project Number to view a full report of the Project captured by the NIH. Any data that is collected to support or further the research of clinical studies will be available here. Collection Owners and those with Administrator privileges may add new clinical trials. How do I know when a Collection has been created? When a Collection is created by NDA staff and marked as Shared, an email notification will automatically be sent to the PI(s) of the grant(s) associated with the Collection to notify them. How does the NIMH Data Archive (NDA) determine which Permission Group data are submitted into? During Collection creation, NDA staff determine the appropriate Permission Group based on the type of data to be submitted, the type of access that will be available to data access users, and the information provided by the Program Officer during grant award. Is a single grant number ever associated with more than one Collection? The NDA system does not allow for a single grant to be associated with more than one Collection; therefore, a single grant will not be listed in the Grant Information section of a Collection for more than one Collection. Why is there sometimes more than one grant included in a Collection? In general, each Collection is associated with only one grant; however, multiple grants may be associated if the grant has multiple competing segments for the same grant number or if multiple different grants are all working on the same project and it makes sense to hold the data in one Collection (e.g., Cooperative Agreements). Typically considered Descriptive/Raw Data unless related to the primary aims of a study, Clinical Data includes diagnostic assessments, clinical measures, medical histories, demographic data, questionnaires, etc. Each set of clinical data is submitted to the NDA using a corresponding Data Structure in the NDA Data Dictionary. Generally, the Collection Owner is the contact PI listed on a grant. Only one NDA user is listed as the Collection owner. Most automated emails are primarily sent to the Collection Owner. Pre-Enrollment: A grant/project has started, but has not yet enrolled subjects. Enrolling: A grant/project has begun enrolling subjects. Data submission is likely ongoing at this point. Data Analysis: A grant/project has completed enrolling subjects and has completed all raw data submissions. Funding Completed: A grant/project has reached the project end date. The Collection State indicates whether the Collection is viewable and searchable. Collections can be either Private, Shared, or an Ongoing Study. A Collection that is shared does not necessarily have shared data as the Collection State and state of data are independent of each other. This field can be edited by Collection users with Administrative Privileges and the Program Officer as listed in eRA (for NIH funded grants). Changes must be saved by clicking the Save button at the bottom of the page. An editable field with the title of the Collection, which is often the title of the grant associated with the Collection. Provides the grant number(s) for the grant(s) associated with the Collection. 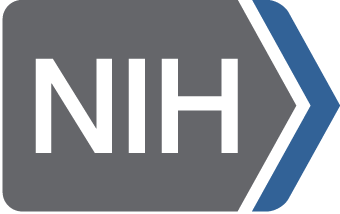 The field is a hyperlink so clicking on the Grant number will direct the user to the grant information in the NIH Research Portfolio Online Reporting Tools (RePORT) page. Various documents and materials to enable efficient use of the data by investigators unfamiliar with the project and may include the research protocol, questionnaires, and study manuals. The total number of unique subjects for whom data have been shared and are available for users with permission to access data. This tab provides a quick overview of the Data Structure title, Data Type, and Number of Subjects that are currently Shared for the Collection. The information presented in this tab is automatically generated by NDA and cannot be edited. If no information is visible on this tab, this would indicate the Collection does not have shared data or the data is private. The shared data is available to other researchers who have permission to access data in the Collection&apos;s designated Permission Group(s). Use the Download button to get all shared data from the Collection to the Filter Cart. How will I know if another researcher uses data that I shared through the NIMH Data Archive (NDA)? To see what data your project have submitted are being used by a study, simply go the Associated Studies tab of your collection. Alternatively, you may review an NDA Study Attribution Report available on the General tab. Can I get a supplement to share data from a completed research project? Often it becomes more difficult to organize and format data electronically after the project has been completed and the information needed to create a GUID may not be available; however, you may still contact a program staff member at the appropriate funding institution for more information. Can I get a supplement to share data from a research project that is still ongoing? Unlike completed projects where researchers may not have the information needed to create a GUID and/or where the effort needed to organize and format data becomes prohibitive, ongoing projects have more of an opportunity to overcome these challenges. Please contact a program staff member at the appropriate funding institution for more information. A grouping of data by similar characteristics such as Clinical Assessments, Omics, or Neurosignal data. fMRI stands for functional magnetic resonance imaging. fMRI tests measure blood flow, providing detailed functional images of the brain or body. Name of the experiment is required. Please be concise and specific as possible. Following experiment name, selection boxes are provided for the Equipment, Software, or other items specific to experiment type. At least one selection is required for each. If NDAR does not have the appropriate listing, select Add New to add the information provided. Following the selection boxes, provide additional information may be required depending on experiment type. Any required items are denoted by an asterisk (*). At least one block/event is required. Note that any fields denoted with an asterisk (*) are required. All data must be devoid of personally identifiable data, including the contents of any files attached to the experiment. Note: To simplify definition of multiple events, we provide an Import from XML function. This function supports importing data from all three experiment sections (Acquisition, Block/Event Design, and Post Processing), at this time files cannot be uploaded from XML A test format is provided here and our XML Schema Definition (xsd) can be found here. If you have completed any post processing on your data, please choose &apos;Yes&apos; for Has Postprocessing? If not, select &apos;No&apos;. Depending on this selection the remaining post processing fields will be enabled (some of which will be required). If you are initially providing raw, non-analyzed data you can select &apos;No&apos;, then return to the experiment to add post processing steps at a later date when the analyzed data are being provided. Please provide information about post-processing manipulations, i.e. artifact detection algorithms, segmentation used for post data collection, items denoted with an asterisk (*) are required. This button will add all selections to the Filter Cart. This button will allow you to copy all of the Experiment details as a template for a new experiment. Adds all data from the current selections in a Collection or NDA Study to the Filter Cart. This button will allow you to return to the Experiments tab. Users with permission to access Shared data in the Collection’s assigned Permission Group may use this tab. Review your uploads to your Collection, monitor their status, and download them individually to verify their contents. Download individual datasets as a secondary user of the data approved for access. Identify and download datasets containing errors identified by NDA&apos;s QA/QC process for review and resolution. Report suspected or discovered Personally Identifiable Information in a submission via the Actions column. The default view of Datasets within a Collection&apos;s Submission tab. A Submission Loading Status on a Collection&apos;s Submission Tab that indicates that an issue has prevented the successful loading of the submission. Users should contact the NDA Help Desk for assistance at NDAHelp@mail.nih.gov. The NDA has two Submission Cycles per year - January 15 and July 15. An interface to notify NDA that data may not be submitted during the upcoming/current submission cycle. The unique and sequentially assigned ID for a submission (e.g. a discrete upload via the Validation and Upload Tool), which may contain any number of datafiles, Data Structures and/or Data Types, regardless of the Submission Loading Status. A single submission may be divided into multiple Datasets, which are based on Data Type. The total number of unique subjects for whom data have been submitted, which includes data in both a Private State and a Shared State. The number of Publications is displayed in parentheses next to the tab name. Clicking on any of the Publication Titles will open the Publication in a new internet browsing tab. Collection Owners, Program Officers, and users with Submission or Administrative Privileges for the Collection may mark a publication as either Relevant or Not Relevant in the Status column. How can I determine if a publication is relevant? Publications are considered relevant to a collection when the data shared is directly related to the project or collection. Where does the NDA get the publications? PubMed, an online library containing journals, articles, and medical research. Sponsored by NiH and National Library of Medicine (NLM). A link to the Create an NDA Study page that can be clicked to start creating an NDA Study with information such as the title, journal and authors automatically populated. Indicates that the publication has not yet been reviewed and/or marked as Relevant or Not Relevant so it has not been determined whether an NDA Study is expected. A publication that is not based on data related to the aims of the grant/project associated with the Collection or not based on any data such as a review article and, therefore, an NDA Study is not expected to be created. The PUBMed ID is the unique ID number for the publication as recorded in the PubMed database. A publication that is based on data related to the aims of the grant/project associated with the Collection and, therefore, an NDA Study is expected to be created. EEG stands for electroencencephalogram and is a test used to measure electrical activity in the brain. The Data Expected tab displays the list of all data that NDA expects to receive in association with the Collection as defined by the contributing researcher, as well as the dates for the expected initial upload of the data, and when it is first expected to be shared, or with the research community. Above the primary table of Data Expected, any publications determined to be relevant to the data within the Collection are also displayed - members of the contributing research group can use these to define NDA Studies, connecting those papers to underlying data in NDA. The tab is used both as a reference for those accessing shared data, providing information on what is expected and when it will be shared, and as the primary tracking mechanism for contributing projects. It is used by both contributing primary researchers, secondary researchers, and NIH Program and Grants Management staff. Contributing researchers just getting started on their project will need to define this list by adding all of the items they are collecting under their grant and setting their schedule according to the NDA Data Sharing Regimen. If you fall into this category, you can begin by clicking "add new Data Expected" and selecting which data structures you will be using, saving the page after each change, or requesting new structures by adding and naming a new item, providing any materials NDA Data Dictionary Curators can use to help define your structure. For more information see the tutorial on creating Data Expected. Although items you add to the list and changes you make are displayed, they are not committed to the system until you Save the entire page using the "Save" button at the bottom of your screen. Please Save after every change to ensure none of your work is lost. If you attempt to add a new structure, the title you provide must be unique - if another structure exists with the same name your change will fail. Adding a new structure to this list is the only way to request the creation of a new Data Dictionary definition. What is an NDA Data Structure? An NDA Data Structure is comprised of multiple Data Elements to make up an electronic definition of an assessment, measure, questionnaire, etc will have a corresponding Data Structure. What is the NDA Data Dictionary? The NDA Data Dictionary is comprised of electronic definitions known as Data Structures. Imaging+ is an NDA term which encompasses all imaging related data including, but not limited to, images (DTI, MRI, PET, Structural, Spectroscopy, etc.) as well as neurosignal data (EEG, fMRI, MEG, EGG, eye tracking, etc.) and Evaluated Data. Data specific to the primary aims of the research being conducted (e.g. outcome measures, other dependent variables, observations, laboratory results, analyzed images, volumetric data, etc.) including processed images. Items listed on the Data Expected list in the Collection which may be an individual and discrete Data Structure, Data Structure Category, or Data Structure Group. An NDA term describing the affiliation of a Data Structure to a Category, which may be disease/disorder or diagnosis related (Depression, ADHD, Psychosis), specific to data type (MRI, eye tracking, omics), or type of data (physical exam, IQ). A Data Item listed on the Data Expected tab of a Collection that indicates a group of Data Structures (e.g., ADOS or SCID) for which data may be submitted instead of a specific Data Structure identified by version, module, edition, etc. For example, the ADOS Data Structure Category includes every ADOS Data Structure such as ADOS Module 1, ADOS Module 2, ADOS Module 1 - 2nd Edition, etc. The SCID Data Structure Group includes every SCID Data Structure such as SCID Mania, SCID V Mania, SCID PTSD, SCID-V Diagnosis, and more. Typically not related to te primary aims of a study, Descriptive/raw data are data used to characterize a research subject, including data from standard diagnostic assessments, standard clinical measures, family/subject medical history, demographic data, raw unprocessed images, -omics (e.g. proteomics, genomics, metabolomics) data, raw neurosignal recordings, and genetic test results that are being collected in the course of the supported research. Descriptive/raw data are expected to be submitted to NDA on a semi-annual basis (on or before January 15 and July 15). Cumulative submission of clinical data is expected during each submission cycle to enable data corrections throughout the duration of the award. Raw -omic, EEG, and neuroimaging data are expected to be submitted only once. Descriptive/raw data are Shared within 4 months after submission. A new Data Structure category, Evaluated Data is analyzed data resulting from the use of computational pipelines in the Cloud and can be uploaded directly back to a miNDAR database. Evaluated Data is expected to be listed as a Data Item in the Collection&apos;s Data Expected Tab. The earliest date on which the data related to the Data Item may expect to be Shared based on whether the data are considered Descriptive/Raw or Analyzed. Descriptive/raw data are shared within 4 months after submission (on May 15 for data submitted during the January 15 Submission Cycle or on November 15 for data submitted during the July 15 Submission Cycle). Analyzed data are expected to be Shared at the time a publication is released through an NDA Study or one year after the original project completion, whichever comes first. The Initial Share Date is used by the NDA as a trigger to automatically share data. The earliest date on which the data related to the Data Item may expect to start being submitted based on whether the data are considered Descriptive/Raw or Analyzed and based on the project&apos;s data collection timeline. Descriptive/raw data are expected to be submitted every 6 months (January 15 and July 15) while Analyzed data are expected to be submitted no later than the time a manuscript is accepted. Data for all subjects is not expected on the Initial Submission Date and modifications may be made as necessary based on the project&apos;s conduct. An NDA created Data Structure used to convey basic information about the subject such as demographics, pedigree (links family GUIDs), diagnosis/phenotype, and sample location that are critical to allow for easier querying of shared data. Collection Owners, Program Officers, and users with Administrator privileges may view this tab. Submission: This will grant read access and allow the user to upload data and create experiment definitions. This is for the typical contributing personnel member. Administrator: In addition to the access provided to Query and Submission users, Admins can also edit the Collection itself, create or edit the Data Expected list, and edit user permissions. This access is for the PI, data managers, and anyone they wish to delegate this to. The PI has a special designation as the Collection Owner in addition to administrator access. Can I give Collection access to a user who is not working on my project? Collection Owners and Admins may assign Collection Privileges to anyone. Can I give another user access to the Collection? Yes, you can assign various Privileges to other users with an NDA account. How do I find out who has access to a Collection? If you are the Collection Owner or have Admin privileges, you can view and make changes to the list of individuals who have access to the Collection on the Collection&apos;s Permissions tab. Information on users who have access to data Shared in your Collection because they were granted access to a Permission Group is not available. How long should I allow someone else to have access to my Collection? Staff/collaborators who are working submitting data to the Collection, checking the quality of the data, and/or analyzing data should have access for the duration of the project until all data have been submitted, NDA Studies have been created for data used in publications, and/or a collaborative relationship with the user exists. If I need access to an NDA Collection, how do I know who can grant me access? The individual listed as an Investigator on the General tab of the NDA Collection will generally be able to provide a user access to the NDA Collection. Additional users may also have this ability if granted Administrator access to an NDA Collection; however, these users are not viewable unless your account has access to the NDA Collection. Given this, it is best to contact the Investigator to request access to the Collection. What are the Collection Privileges that can be given to a user? Admin is both the Submission and Query Privilege + the ability to give privileges to other users. Why would I want to give other users access to my Collection? You may have staff who are working on the submission of data or other activities associated with data sharing such as the definition of the Data Expected list or NDA Experiment creation. Also, many projects have multiple performance sites and wish to share data among the site PIs. Submitting to the NDA facilitates access by all investigators working on a project even before data have been shared with other users. You can control who gets access to data while in a Private state. The NDA has data grouped data into Collections which are associated with a Permission Groups (e.g., ABCD, NDAR, NDCT, PedsMRI, RDoCdb, OAI) so that access requests are made for a Permission Group instead of individual Collections. While each Permission Group has it&apos;s own identity, all data included are in the NIMH Data Archive regardless of Permission Group. EyeTracking tests follow the movement of the eye. The visual trajectory or focus can help determine predictions and assist in diagnoses. The number of Experiments included is displayed in parentheses next to the tab name. You may download all experiments associated with the Collection via the Download button. You may view individual experiments by clicking the Experiment Name and add them to the Filter Cart via the Add to Cart button. Collection Owners, Program Officers, and users with Submission or Administrative Privileges for the Collection may create or edit an Experiment. Please note: The creation of an NDA Experiment does not necessarily mean that data collected, according to the defined Experiment, has been submitted or shared. Can an Experiment be associated with more than one Collection? Copy the experiment with intent for modifications. Associate the experiment to the collection. No modifications can be made to the experiment. An Experiment must be Approved before data using the associated Experiment_ID may be uploaded. The ID number automatically generated by NDA which must be included in the appropriate file when uploading data to link the Experiment Definition to the subject record. Omics is a collective group of technologies, related to a field of study in Biology such as Genomics or proteomics. To define an Omics experiment, provide a meaningful name and select a single molecule. The standard molecules are listed. However, if you are doing proteomic or environmental experiments, simply “Add New” and the new selection will be created. Only one value for molecule is permitted. Next the technology (box 2) associated with the molecule will be presented along with its application. Again, only one selection is possible. If you wish to see all of NDAR’s options for any one box, Select “Show All”. Continue to select the Platform (box 3). Note that for each of these (boxes 4, 5, 6, and 7) multiple selections are possible. Lastly, the Software (box 8) and Equipment (box 9) is expected. Once saved, the experiment will be associated with the Collection and by using the returned Experiment_ID, the NDA makes it possible to associate the experiment meta data directly with the data from the experiment. Clicking on the Study Title will open the study details in a new internet browser tab. The Abstract is available for viewing, providing the background explanation of the study, as provided by the Collection Owner. Primary v. Secondary Analysis: The Data Usage column will have one of these two choices. An associated study that is listed as being used for Primary Analysis indicates at least some and potentially all of the data used was originally collected by the creator of the NDA Study. Secondary Analysis indicates the Study owner was not involved in the collection of data, and may be used as supporting data. Private v. Shared State: Studies that remain private indicate the associated study is only available to users who are able to access the collection. A shared study is accessible to the general public. How do I associate a study to my collection? Studies are associated to the Collection automatically when the data is defined in the Study. A tab in a Collection that lists the NDA Studies that have been created using data from that Collection including both Primary and Secondary Analysis NDA Studies. To associate an experiment to the current collection, just select an axperiment from the table below then click the associate experiment button to persist your changes (saving the collection is not required). Note that once an experiment has been associated to two or more collections, the experiment will not longer be editable. The table search feature is case insensitive and targets the experiment id, experiment name and experiment type columns. The experiment id is searched only when the search term entered is a number, and filtered using a startsWith comparison. When the search term is not numeric the experiment name is used to filter the results. Please enter the name of the data structure to search or if your definition does not exist, please upload that definition so that it can be appropriately defined for submission. Multiple data structures may be associated with a single Data Expected entry. Please add only one data structure per assessment. The Data Expected list for this Collection shows some raw data as missing. Contact the NDA Help Desk with any questions. Your Collection is now in Data Analysis phase and exempt from biannual submissions. Analyzed data is still expected prior to publication or no later than the project end date. Please confirm that you will not be enrolling any more subjects and that all raw data has been collected and submitted. Are you sure you want to delete this submission exemption? Explanation must be between 20 and 200 bytes in length. Collection Description: Deficient control and monitoring of memory processes is a key feature of major psychiatric diseases, including schizophrenia, bipolar disorder, and PTSD. The long-term goal of this research is to understand how individual brain areas within the temporal-and frontal lobes interact, how these interactions are coordinated and how disruption of such coordination results in mental disease. The proposed experiments will utilize rare neurosurgical opportunities to directly record from individual neurons in several areas of the human medial frontal cortex and the hippocampus to study the role of theta-mediated coordination in the executive control of memory. This approach is motivated by previous work from this laboratory, which has revealed a candidate microcircuit for declarative memories consisting of groups of cells that signal memory strength and a second group that signals highly processed sensory information independent of memories VSMS neurons. The overall objective of this application is to understand how information provided by these hippocampal neurons is utilized by areas in the medial frontal lobes to make decisions and how such memory-based decision making processes are monitored and controlled. We will achieve this objective by recording single-neurons from the hippocampus and three medial frontal cortical areas important for monitoring and control of memory processes the ACC, pre-SMA, and vmPFC. Our central hypothesis is that Frontal-Hippocampal coordination is mediated by theta-band oscillations such that subsets of medial frontal neurons transiently phase-lock to hippocampal theta oscillations in order to gain access to task-relevant information provided by subsets of VSMS neurons in the hippocampus. Our specific aims are to determine how medial frontal neurons accumulate evidence provided by the hippocampus Aim 1, to determine whether medial frontal neurons exert top-down control over the hippocampus Aim 2, and to test the causality of theta-mediated medial frontal-hippocampal coordination for memory Aim 3. The contribution is significant because it will provide an unprecedented characterization of the role of medial frontal-hippocampal coordination in the control of memory processes through bottom-up and top-down interactions and their causal necessity. The approach is innovative because we directly test, in humans, a hypothesis of high significance for psychiatric disease which cannot be tested by non-invasive fMRI EEG MEG studies nor by animal models due to the unclear homologies of frontal areas. The work proposed in this application will advance knowledge on the normal mechanisms of frontal-temporal coordination by theta oscillations and might thereby enable the development of new treatments to restore or improve such coordination in cases of mental disease. Data structures with the number of subjects submitted and shared are provided. Publications relevant to NDA data are listed below. Most displayed publications have been associated with the grant within Pubmed. Use the "+ New Publication" button to add new publications. Publications relevant/not relevant to data expected are categorized. Relevant publications are then linked to the underlying data by selecting the Create Study link. Study provides the ability to define cohorts, assign subjects, define outcome measures and lists the study type, data analysis and results. Analyzed data and results are expected in this way. You can use "Add New Data Expected" to add exsiting structures and create your project&apos;s list. However, this is also the method you can use to request new structures be created for your project. When adding the Data Expected item, if the structure already exists you can locate it and specify your dates and enrollment. To add a new structure and request it be defined in the Data Dictionary, select Upload Definition and attach the definition or material needed to create it, including manual, codebooks, forms, etc. If you have multiple files, please upload a zipped archive containing them all. Expected dates should be selected based on the standard Data Sharing Regimen and are restricted to within date ranges based on the project start and end dates. Studies that have been defined using data from a Collection are important criteria to determine the value of data shared. The number of subjects column displays the counts from this Collection that are included in a Study, out of the total number of subjects in that study. The Data Use column represents whether or not the study is a primary analysis of the data or a secondary analysis. State indicates whether the study is private or shared with the research community.